I had to rustle this up out of the refrigerator and the freezer after we returned home around 8PM. Tonight was our grandson’s first band concert. The traffic was brutal on the way over and merely bad on the way home. So I needed something easy and fast. 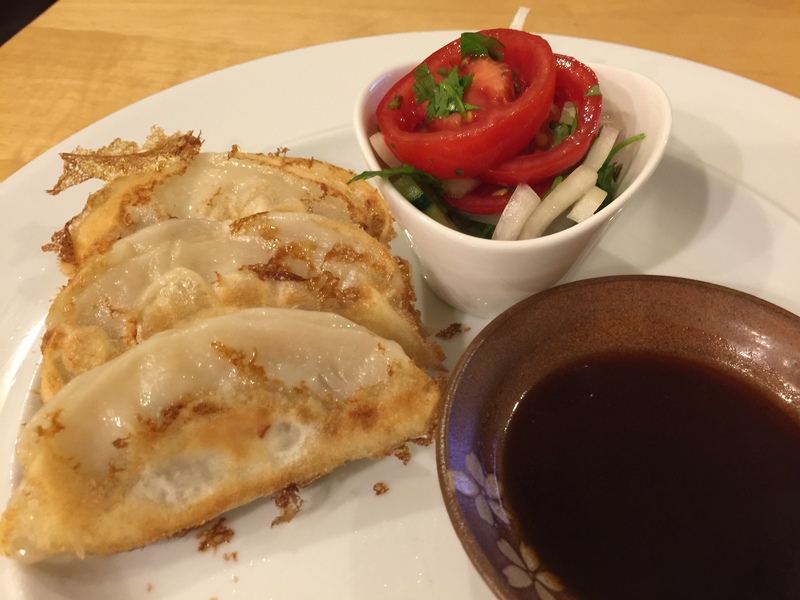 Potstickers in the freezer and some leftover tomatoes and cucumbers for salad made an unlikely but quick dinner. This entry was posted in leftovers, Pasta, Pork, Vegetables and tagged cucumbers, Onions, Potstickers, tomatoes. Bookmark the permalink.